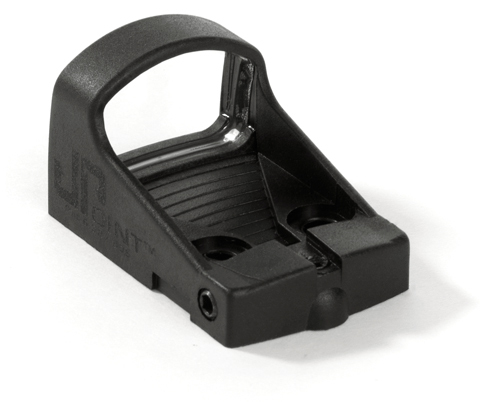 Our best seller, the 4 MOA dot is ideal for most pistol use and as a secondary rifle sight. With the ambient light sensor and automatic intensity adjustment, it will provide an adequate dot for the widest range of applications and lighting conditions. Includes sight, sight cover, dial with 1.5mm wrench, CR2032 battery and instructional manual. The JPoint is compatible with plate 04 of the Glock MOS system. A pair of M4x0.7 screws is required for attachment.